This is especially the case when choosing a material to be used in a pipe. 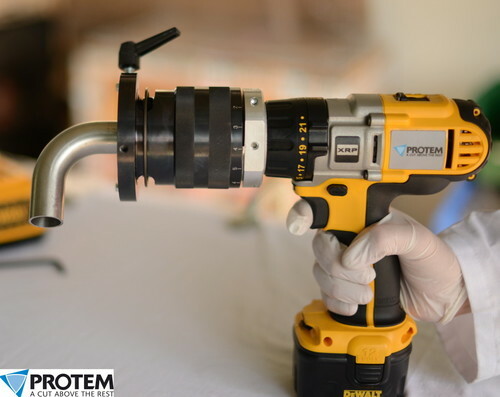 This is because some pipes are subjected to considerable mechanical, thermal or chemical stresses, depending on the type of fluid they carry, with pressure and temperature paying a determining role. 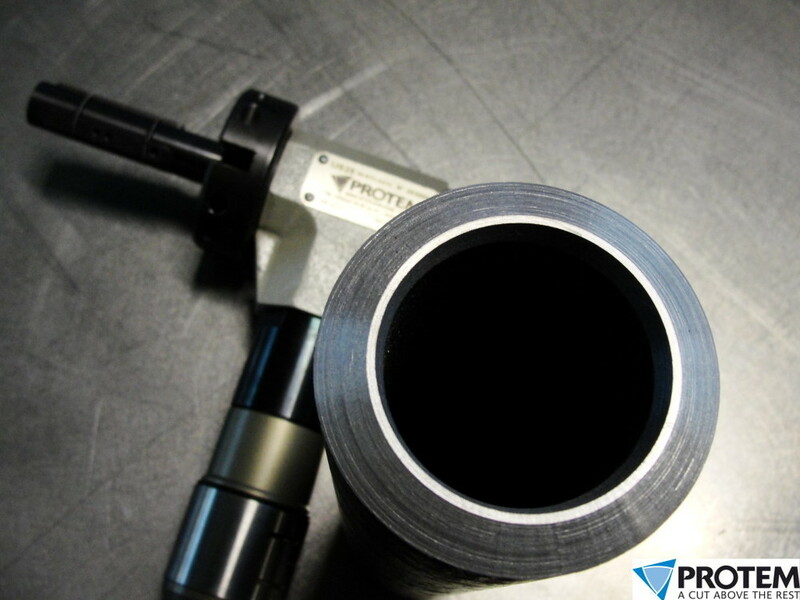 The material used to manufacture the pipe has an influence on all the manufacturing operations, including machining. 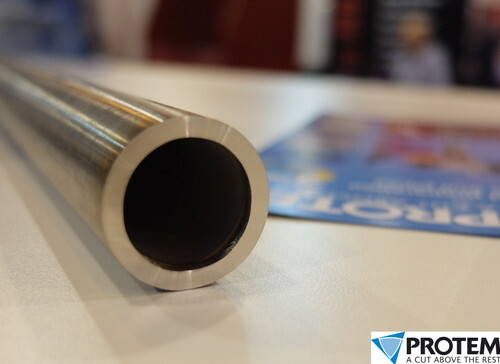 The machinability of the pipe depends directly on the material used to manufacture the pipe, and for each given material, specific precautions must be taken in order to ensure good-quality machining. Machining is a common operation when preparing a piece for welding where, for example, the pipe end has to be machined at specific angles so that the weld can penetrate the entire thickness of the pipe material. Standard steel pipes are the most commonly used types of pipes owing to their low cost and mechanical qualities which make them suitable for a wide range of applications. Steel pipes are resistant, long-lasting and deformable. This means that they can be used for applications with significant temperature or pressure variations. Standard steel pipes are also very commonly used in situations where impacts or vibrations can affect the pipeline (underneath roads, for example). In addition, steel pipes are fairly easy to manufacture, bend and cut. Steel pipes are however very prone to corrosion if no preventive treatment is applied. Galvanization is a common corrosion-control treatment; this consists in applying a zinc coat to the steel pipe. This coat then oxidizes in the place of the steel which it protects, with the all-important difference however that the zinc oxidizes very slowly. Low-alloy steel (i.e., with a low carbon level of between 0.008% and 2.14%) can be easily machined. When the carbon rate increases, the material properties (such as hardness or mechanical resistance) tend to improve significantly. However, machining steels with a high carbon level is more difficult. P91 was initially developed for the manufacturing of pipelines in conventional or nuclear thermal power plants, where the steam leaves the superheater of a boiler in a modern conventional/thermal plant at a temperature of between 570°C to 600°C for a pressure of between 170 bars to 230 bars. This means that the final stages of the superheater and the pipelines delivering the turbine steam must be able to withstand these extreme conditions. In such a case, the high mechanical resistance of P91, constant over time, makes it the right choice. By using P91 in such circumstances, the engineers were able to reduce the thickness of the pipelines whilst simultaneously increasing the operating temperature, all of which enhances the overall thermodynamic efficacy of such plants. The high mechanical resistance of P91 steel means however that machining is difficult. Thus, the tools should be changed regularly to ensure sharpness and the cutting speeds should be kept low. The pass depth can also be adjusted to increase the machining speed. A Duplex stainless steel consists of stainless chromium steel with nickel added. The matrix contains both ferrite and austenite, hence the name Duplex. This alloy was designed to provide corrosion resistance and tensile strength. 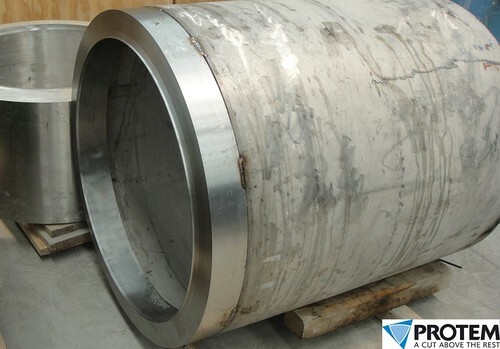 Duplex steel pipes are very commonly used in gas and petroleum offshore platforms where the pipelines are subjected to intense pressures and saline elements. Duplex steel tubes can also be found in industries with chlorinated products and acids, such as in the chemical or pharmaceutical industries. In recent years, more strongly alloyed Duplex steels have emerged under the name of Super-Duplex or Hyper-Duplex. Duplex steel pipes are relatively difficult to machine due to their tensile strength and high yield strength. 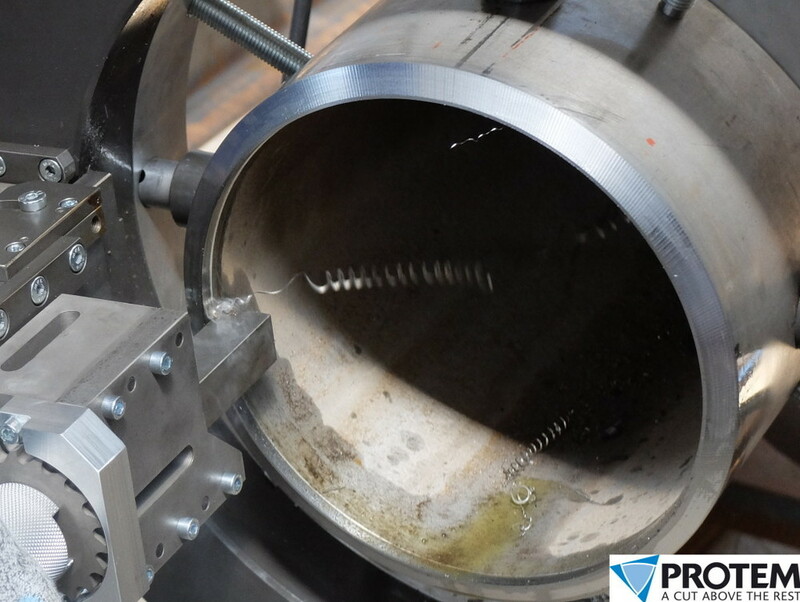 This can lead to very high cutting temperatures and to a plastic deformation of the pipe. In any case, the tooling and clamping must be sufficiently rigid and stable in order to machine a Duplex steel pipe. Other elements can be added to improve the mechanical strength (nickel) or the high-temperature performance (molybdenum, titanium, vanadium, tungsten). Although more expensive than standard steel pipes, stainless steel pipes are widely used in many industries (chemicals, petroleum, pharmaceutical, food, aeronautics, shipbuilding, etc.). The cutting edge must be sharp to facilitate detachment of the material and reduce the cutting forces. The cutting tool must be sufficiently well assembled and the machine itself must be sufficiently rigid to support the forces caused by the cutting; as a rule of thumb, the forces deployed when cutting stainless steel can be more than 50% higher than with standard carbon steel. Therefore, the alloy base is nickel which can be alloyed with chromium, iron, titanium or aluminum. These alloys have the same advantages as stainless steels, but to a greater extent. Specifically, their heat resistance is higher (about 900°C) as is their corrosion resistance (corrosion in chlorine ion, pure water and caustic medium). They are also much more expensive than standard alloys, but this is justified for applications where operator safety is an essential criterion. Pipes made from nickel-based superalloys are used in aeronautics (in combustion chambers, for example), the chemical industry (owing to their corrosion resistance), nuclear engineering, and, to a lesser extent, in the food industry. 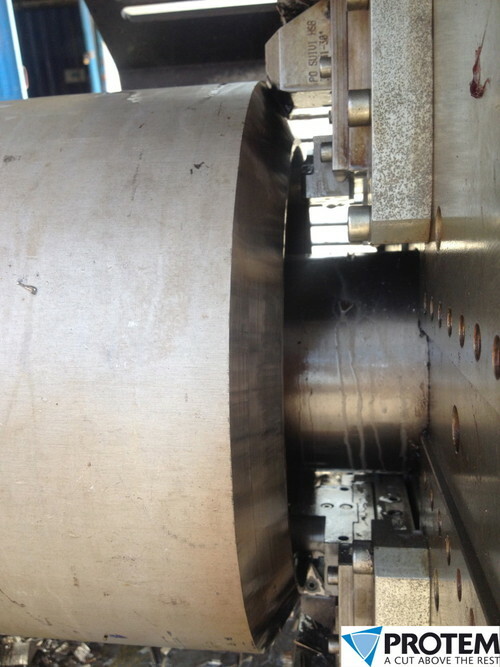 Superalloys are considered very difficult to machine. This can be attributed to several factors. 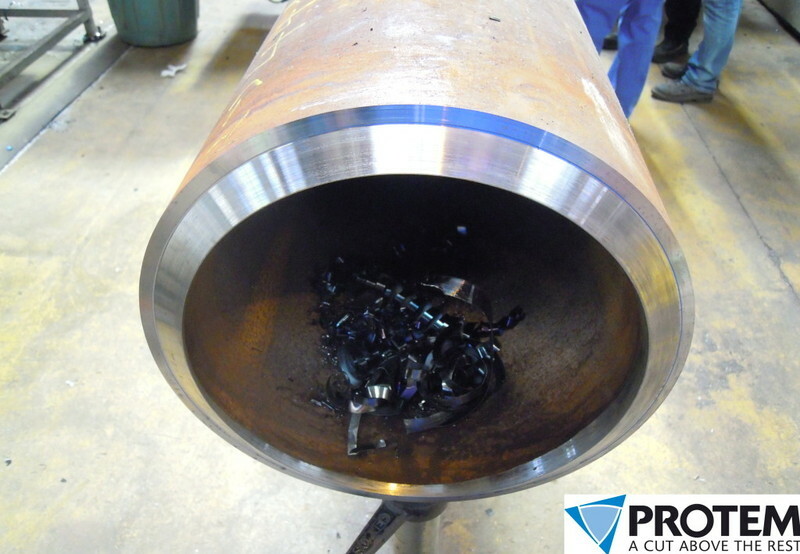 Firstly, one must bear in mind that 70% of the heat is returned directly to the cutting tool (as opposed to 15% for standard steel, for example). Therefore, it is essential to keep the cutting-edge cooled during the machining. 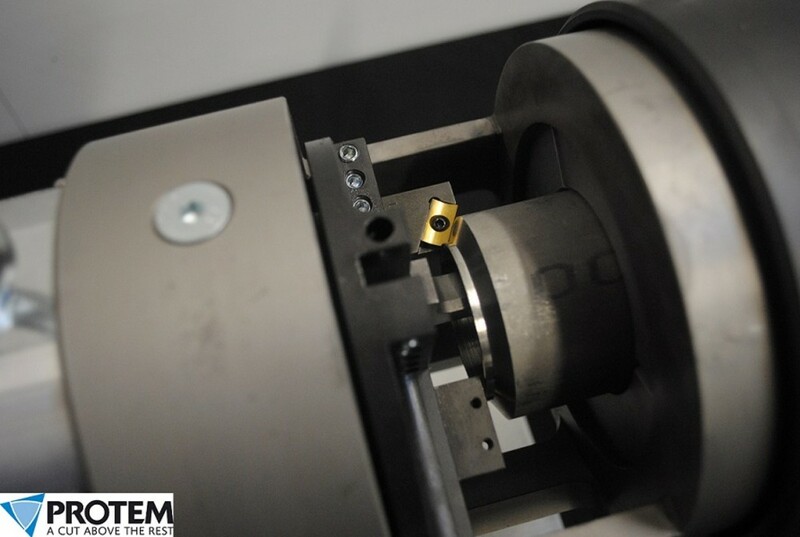 The second complication is the hardness of the material; in fact, the lifetime of a cutting tool used to machine a superalloy can be reduced to just a few minutes if the tool does not have the necessary power, or if the cutting speeds and tools are not suitable. Titanium is an extremely interesting metal for the industry. Titanium can be used to manufacture pipes which are light and yet highly resistant to corrosion and able to withstand very high temperatures (600°C). Its mechanical properties (resistance, fatigue and deductibility) are also appreciated. Titanium is however expensive and this limits its use to specific applications. In general, one finds titanium in the aeronautics sector where its low density combined with its attractive mechanical properties make it an essential material. Since the thermal conductivity of titanium is very low (about 10 times lower than steel), the heat dissipation during machining is relatively poor. Therefore, the cutting edge needs to be properly cooled to avoid machining defects. Sharp tools should be used to facilitate the detachment of the material, and thus reduce the cutting force. Machining is even more difficult in the case of treated titanium (e.g., treatment by precipitation, presence of chromium). Aluminum pipes have a very low level of hardness, and are therefore relatively easy to machine. However, the malleability of aluminum can cause problems (shavings can lead to machine jamming, for example). In this case, the best response is to increase the cutting speed, the depth of the pass and the feeding speed. There is also a risk of aluminum pipes being deformed during machining if the machine tool, and in particular the clamping jaws, are not correctly chosen.